AMDA | AMDA News - Thank You to AMDA Alumnus Rizwan Manji for speaking at AMDA LA's Fall 2018 Graduation Ceremony! AMDA alumnus Rizwan Manji is perhaps best known for playing Rajiv, the hysterically officious, scheming assistant manager of a call center in the NBC comedy “Outsourced.” Part of the network’s prestigious Thursday night comedy lineup, this groundbreaking TV show was the first American sitcom to be based in India and feature a predominantly Indian cast. Currently, Rizwan can be seen as royal advisor Tick Pickwick in SyFy’s drama series “The Magicians,” based on Lev Grossman’s bestselling fantasy novels. 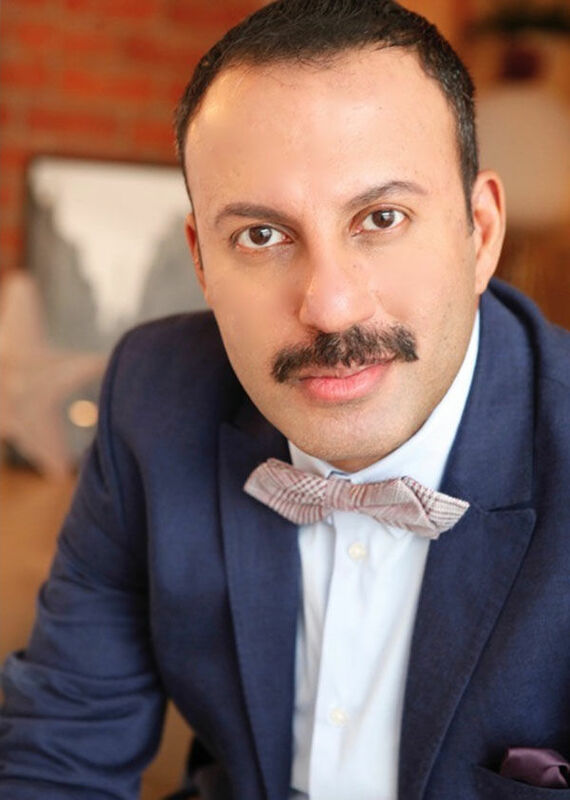 Rizwan also appears as the eternally optimistic real estate agent Ray Butani in the CBC comedy “Schitt’s Creek,” with Eugene Levy and Catherine O’Hara. Look for him in 'The Man Who Killed Hitler' and then 'The Bigfoot', which has an American release later this year.